Keep all of your treasures safe in this presentable and functional box made with a curly maple top and a bubinga body. 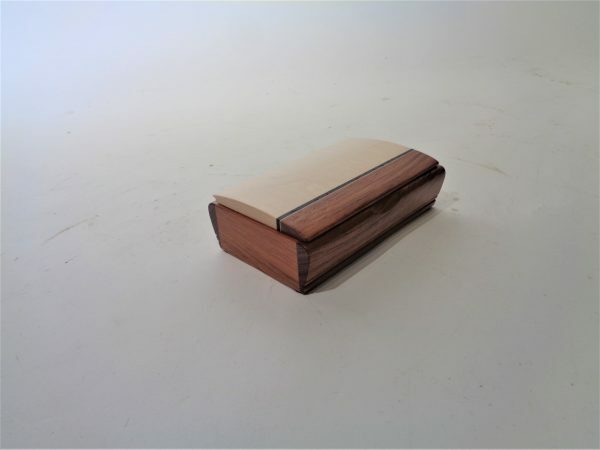 Lined with a felt bottom, this box will surely keep any keepsake safe from being harmed. This box is one of a kind so call for availability or come see us!